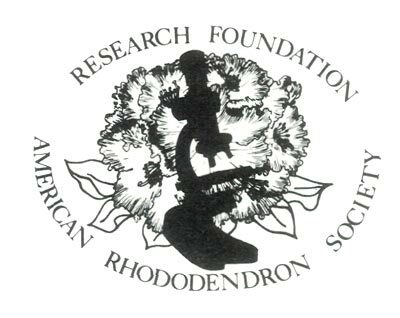 The University of Minnesota Landscape Arboretum research program for development of hardy azaleas has been supported in part by grants from the American Rhododendron Society and from the Minnesota Nurserymen's Research Corporation. The ability of various azalea and rhododendron cultivars and species to tolerate winter temperatures is probably the most limiting factor for their use in many areas of the world. Although there has been much research devoted to cold acclimation processes in hardy plants, there is still much to be learned. Cold hardiness research with Rhododendron indicates flower buds are less able to withstand cold winter temperatures than other tissues (Sakai 1983, Iwaya-Ingue and Kaku 1983). Although one can find hardiness ratings for most species and cultivars, these ratings are based only on field experience in a few locations and may not be applicable to different winter conditions. Three primary aspects of winter hardiness are: (1) timing of acclimation, which is important for plants to escape injury during extreme cold periods of early winter; (2) maximum cold hardiness capability, that permits plants to survive the minimum temperatures of midwinter; and (3) ability to resist rapid deacclimation or ability to reacclimate rapidly following unseasonal warm periods in late winter. Little is known about the relative importance of these facets for Rhododendron flower buds. It is conceivable that cultivars differ in the importance of these three factors. Information on hardiness capability of flower buds of different taxa at various stages of acclimation or deacclimation would help one to predict potential success of a given taxa in their local climate. Some information has been published on midwinter cold hardiness capabilities of various Rhododendron species and cultivars (Pellett and Holt 1983, Sakai 1983, Sakai et al 1986) but this information is not available for most cultivars or species. Hardiness information based on sampling from a single source may be misleading for species of widespread distribution since there could be considerable differences in hardiness from different sources. To develop more information on cold hardiness capability of different Rhododendron taxa we determined the midwinter maximum cold tolerance of flower buds during this past winter using laboratory techniques. Flower buds were excised from plants growing at Weston Nurseries, Hopkinton, Massachusetts in early February, and shipped via air small package express to the University of Minnesota Landscape Arboretum. The buds were in shipment for approximately five hours. They were placed in a refrigerated chamber at -18 to -20°F. immediately after arrival to counteract dehardening that might have occurred in transit and to acclimate the buds to their maximum cold tolerance capability. The buds were stored in plastic bags under the refrigerated conditions for one week prior to the laboratory test of the first samples. From previous work we have found that this conditioning under freezing temperatures will induce detached plant tissues to reharden to their maximum potential. Azalea buds can deacclimate quite rapidly at temperatures above freezing. Thus, buds collected in other locations and shipped for testing must not be in shipment more than a few hours. A day or two under room temperatures will allow deacclimation to proceed far enough that azalea flower buds cannot reacclimate to their full cold hardiness potential (unpublished data). After the rehardening period, the hardiness testing was conducted by placing samples in a freezer programmed to cool at 15°F. per hour. Buds were frozen in plastic bags and samples were removed every 6°F. After removal from the freezer, buds were thawed slowly and then stored at room temperature for two or three days to allow any injured florets to turn brown. Buds were dissected and numbers of live and dead florets were recorded for each sample temperature. Table 1 gives injury data for the cultivars tested. The lowest temperature tested with less than or equal to 50 percent injury is the rating used for reporting midwinter flower bud hardiness. This is the lowest approximate temperature that will result in 50 percent or greater bloom for the cultivar listed. At less than 50 percent bloom, we consider the landscape value of the cultivar reduced. The plant may not be appropriately hardy for areas that will experience temperatures below that point. The lowest temperature tested with some survival is the lowest temperature where some florets were still alive and thus some bloom would occur if the plant was subjected to those conditions in the field. Below that temperature no bloom would be expected. From previous experience with this laboratory procedure for measuring maximum cold tolerance capabilities, we feel quite confident in our data. It usually correlates well with field results. When we have had discrepancies we find that the laboratory procedure slightly underestimates hardiness compared to field experience (unpublished data). The data indicate only one aspect of winter hardiness; the cold tolerance capability at the point of maximum acclimation. Other aspects of cold hardiness, such as the date of initiation and rate of acclimation in fall and early winter, and deacclimation during winter warm periods are not reflected in the reported hardiness ratings. However, they may be as or more important for the ability of a given cultivar to survive winter conditions in the field. The data do indicate the cultivars that would not survive midwinter temperatures in Minnesota and other locations with equally low temperatures. Therefore we can limit field testing to those with greater potential i.e. the cultivars that have adequate hardiness capability to tolerate our midwinter temperatures. These taxa could then be field tested to determine their ability to harden sufficiently to withstand early cold extremes and to resist deacclimation that makes them susceptible to injury in the event of unseasonable warm periods followed by low temperatures. The data should be valuable to people in other areas for estimating the potential of different cultivars to survive the minimum temperatures frequently encountered in their locale. Table 1. Midwinter Hardiness (°F.) of Flower Buds of Rhododendron Taxa. 1 buds suffered greater than 50% injury at first temperature tested (-2°F.). Iwaya-Inque, M. and S. Kaku. 1983. "Cold Hardiness in Various Organs and Tissues of Rhododendron Species and the Supercooling Ability of Flower Buds as the Most Susceptible Organ." Cryobiology 20(3):310-317. Pellett, Norman and Mary Holt. 1981. "Comparison of Flower Bud Cold Hardiness of Several Cultivars of Rhododendron spp." HortScience 16(5) 675-676. Sakai, A. 1983. "Freezing Resistance of the genus Rhododendron ." J. Jap Soc Hort Sci 52(3):294-ff. Sakai, A., L. Fuchigami and C.J. Weiser. 1986. "Cold Hardiness in the Genus Rhododendron ." J. Amer. Soc. Hort. Sci. 111(2):273-280.